And this doesn’t even count the books I bought for myself as I was shopping for others. Come on, you do it too. I was a little proud of my holiday newsletter, which summed up the highlights of the past year without getting too boring or braggy (I hope). As I wrote it, I realized that my blogging buddies are so much more in touch with the things I’m doing than most people on my Christmas card list. (I may need to work on that this year.) So while I was going to post it here, it’s not really necessary. Shoveling Snow! Ah, Snowpocalyspe. Looks like we’ll miss a return of this kind of snowstorm over the weekend, but many of you will be getting a bit of snow, I hear. Making Movies! I’ve failed to mention the TIVA Peer Awards won for “Liability” in writing, directing, and editing. Okay, that part is kinda braggy. Hitting New York! And we are already planning to do this trip again. Supporting the Arts! Apparently I haven’t been talking about my daughters’ various plays, talent show performances, and improv competitions. Or Bill’s audio show. Though I dare say you know a thing or two about MotherReader.com. To make the photo appropriate for the holidays, I lightly pasted on a tiny piece of paper with “Merry Christmas” over the sign. That still makes me smile to think of it. I wonder how many people will peel back the paper. Oh, well — Happy Holidays! Oh! I almost forgot to post this — the Best Holiday Video Ever. Merry Christmas, everyone! The parents at my daughter’s elementary school park like idiots. It’s street parking, people, not a cow pasture. Pull up to the car in front of you. And on the same note, we aren’t living in a world where You and Your Child are the only ones in existence. When you stop in the drop-off line to watch Your Child walk up to the school, time doesn’t magically stop for the rest of us still waiting to move forward. Get out of the way! I love my sweet cat Chloe, but I’m so tired of feeding her half cans of food every couple of hours because that’s the only way she’ll eat enough to keep on, you know, living. Talent isn’t necessarily rewarded. I know, big surprise. So how about you? None of your people are likely to see your grievances all the way over at my blog, so go nuts. Talk about your boss, your neighbor, your mother-in-law. Tomorrow we can get back into the spirit of the season, but now it’s venting time. There are two basic kinds of gift-givers: Surprisers and Getters. Surprisers want to search out that perfect gift for you. Getters want to know exactly what you want. Both kinds of gifters have their benefits and downfalls. It’s a lovely thought to shop with the person in mind, but sometimes the surprises are way off. Getters certainly will buy the right gift, but a little of the magic is gone. In my experience, it seems that Surprisers and Getters often marry each other — and therein begin the problems. A Surpriser can’t understand why her in-laws want to know not just what video game system they own, but precisely what games to buy for the kids. Where’s the fun in that? A Getter is baffled as to why his wife would purchase a Zen garden desk set when all he wanted was the latest Batman movie on Blu-Ray. He circled it on the Best Buy flyer. I’ve been happy with Amazon Wish Lists for years, but now they’ve taken it to a new level that is un-freaking-believable. Now you can put anything — ANYTHING — on your wish list. From any online store. Anywhere. You can put Abercrombie clothes on your list. You can put Borders gift cards on your list. You can even put Etsy items on your list. And it’s so easy. You drag the Amazon wish list button to your browser (instructions here) and then when you’re shopping at Etsy or Borders or Abercrombie, and see something you like — click the button and it’s added to your Amazon gift list. It shows up with a “shop this store” button that clicks through to the page you marked, and the transaction takes place outside of Amazon.com. I can’t express how helpful this new feature is, both for Getters and Surprisers. There is plenty of opportunity to mark specific items, but it’s also useful for people who like to shop to know which stores the gift-receiver frequents. On my wish list, I marked gift cards from some of the girls’ favorite stores. Maybe they’ll get a gift card — which is fine — or maybe the giver will feel like shopping around that store for something — which is also fine. This is the point where I should mention again that I am an Amazon Associate and do get a small referral fee from Amazon should you go there and purchase items and the money I earn helps support the things I do with this blog. However, I would talk about this wish list thing anyway, because it is such a helpful solution in the war between Surprisers and Getters. How about you? Are you a Surpriser or a Getter? How about your family? How have you worked it out? I’ll tell you, I am feeling like Santa today. I’ve been giving away books, and boy does it feel good. First let me send out a huge Thank You to the publishers who sent books for the Cybils — in this year and previous ones — which allowed me to give away so many books to kids who need them. Last week I pulled together collections of the Cybils-nominated picture books to give away two sets of books in the ABC Giveaway. One set is on its way to a librarian in Utah, who was excited to have some new titles to add to their small library collection. Another set will be on its way soon to a school librarian in Baltimore — she let me hold back a few titles until I’m done reviewing them. When all is said and done, that will be fifty books finding new homes. Then today I called a local charity to see if they might be able to use books to give to the kids in the community. As it turns out, their holiday gift giveaway is this afternoon, and they were thrilled to have new hardcover picture books (and a few chapter books) for the kids. I had put together a full box already, but when I heard that these books were going as holiday gifts, I quickly perused my shelves to find more fun titles. When I dropped them off, the volunteers were so grateful that I felt amazing. I’ll definitely be back there with more books. And as if all of that weren’t enough, I also received some thank you letters from a class that I supported through Donors Choose. I’ll have to figure out how to scan these and post them, because they are so touching. For now, I give you the note in one card, written in highlighter in alternating colors of yellow, pink, and orange: “Thank you for the book. I injoy the Book. I Love the story about Molly the Bavre Brave Me.” I had to look that one up to find a sweet beginning reader, Molly the Brave and Me, and btw, the student crossed out “brave” and corrected it. So cute. I can’t plug this charity group enough, as it supports teachers who write up requests for what they need in the classroom. Plus, they send you letters, which makes you want to donate more! For one of the richest counties in the nation, I live near to some areas of poverty, making it easy to find places to donate books. (It’s much harder for me to get my act together to actually donate those books, but that’s a whole other issue.) But for those of you who would like to have places to send books, consider the international list of charities over at Playing by the Book. Of course, in talking about giving away books, I can’t skip the fun in giving books to nieces, nephews, cousins, second cousins, teachers, friends, Girl Scouts, and the crossing guard. I should probably give some to the mailman to thank him for carrying all of my books to me from the publisher. Who will you give a book to this holiday season? 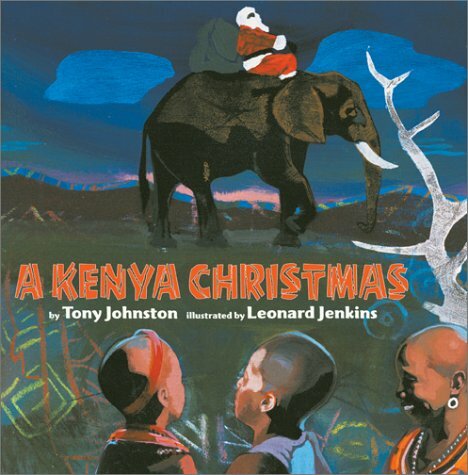 I get pretty frequent searches for books about Christmas around the world, so I’m reposting those titles today. Enjoy. Well, here we are at the end of the ABC Giveaway! I’ve had fun putting it together, and I hope that you’ve enjoyed the book suggestions and storytime ideas. But now it’s time to close up shop and announce our winners, who were selected by random numbers generated at Random.org. Winning the books reviewed throughout the ABC Giveaway series is Karen, a children’s librarian in Utah who gave some wonderful book suggestions for future alphabet storytimes. 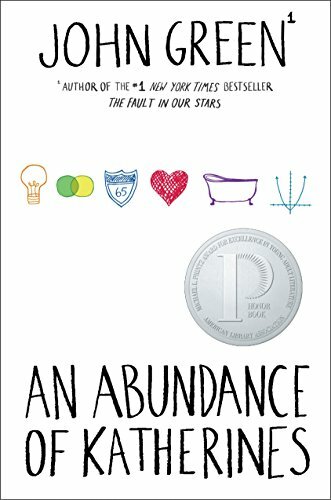 Winning the second ABC set of Cybils-nominated books is Katie, a school librarian in Baltimore, Maryland, who blogs at Book Love. And for commenting on every single ABC Giveaway post, a bonus prize of five Cybils-nominated titles goes to Aaron, an illustrator from Michigan, who blogs at Bookie Woogie and Chicken Nugget Lemon Tooty. Congratulations to you all! Please drop me a line at MotherReader AT gmail DOT com so that I can arrange shipping for your prizes. Thanks again to everyone for playing along and promoting the giveaway. Maybe we can do it again sometime next year. For now, I need to concentrate on the holiday season — maybe share some Christmas book favorites or add more Ways to Give a Book. I have mentioned that I’ve worked hard to make your holiday shopping easier by pairing MotherReader-approved books with other gift ideas — often including links to the actual gifts — which I’ve selected from Amazon for price, appeal, and age-appropriateness, right? Yeah, I probably said something about that. Let me also make it clear that I get a small referral fee if those items or any other items are purchased at Amazon if you come from this site, and that little bit of income helps to support this website and giveaways. So, you know, shop away! You have until Tuesday, December 14, at 9:00 p.m. EST to enter to win twenty-five picture books with the ABC Giveaway. After that time, I will close all comments and pick the winners to be announced on Wednesday, December 15th. I hope that even if you don’t win the books, I have given you some ideas for titles and storytimes in your own library, classroom, or home. As planned, I’m finishing up the ABC Giveaway with combined letters, because finding a book for X is simply too much work and I’m kind of ready to be done now. Thanks again for following and for all of your wonderful book suggestions. Let’s do this again sometime! Yasmin and her family live in Bangladesh, and each day she and her little sister go to work breaking bricks to be used in concrete. They used to live in the countryside, but flooding took everything they owned and forced the family to the city to make a living. The girls can’t go to school because their income is needed, but Yasmin longs to be able to read. 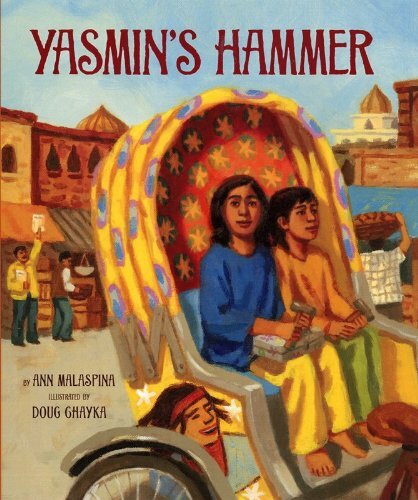 Working especially hard with her hammer, she is able to put away a few coins to purchase one book — and this one book inspires the whole family to put their greatest effort towards sending the girls to school. Yasmin’s rural life is described with a peaceful tranquility, but the city is also seen with a positive light as bustling and lively. There is harshness, certainly, in their boss and the slum houses. But there is also kindness in the shopkeeper who accepts too little money for a precious book and in the sacrifice of the parents. While conveying the deep poverty of the characters, the story keeps the focus on aspiration, industry, and family. The bright colors of the engaging illustrations reinforce this not as a tale of bleakness, but of hope. While the text and length would be fine for a preschool audience, the topic is little serious for storytimes, but it is perfect for elementary school classroom or library reading times to share a greater world view. As a Maasai boy follows the herd to a new home, he meets the boy of a local farmer. Traditional conflicts between the nomadic Maasai and the farming Kikuyu cause the boys to take an immediate dislike to each other. But in an emergency, the boys work together to save a young child, and in doing so find a path to friendship. 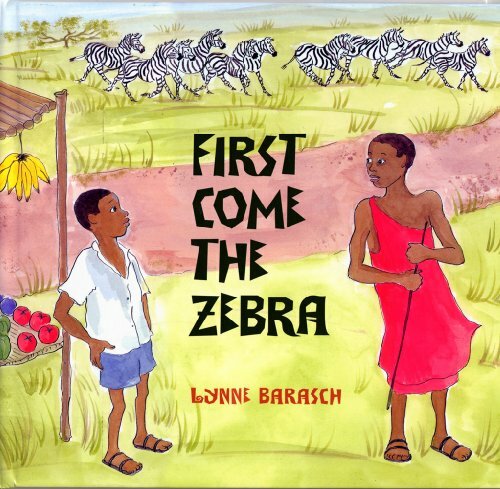 The story of conflict and resolution is universal, even if the Kenyan setting is unfamiliar to readers, and makes this a wonderful book to share with children. The message seems a bit strong, but the uniqueness of the situation in the story supersedes that minor flaw. The illustrations are delicate watercolors that find the most beauty in the scenes of wildlife. (Honestly, I could just cut out and frame the spread of the zebras crossing the grasslands.) 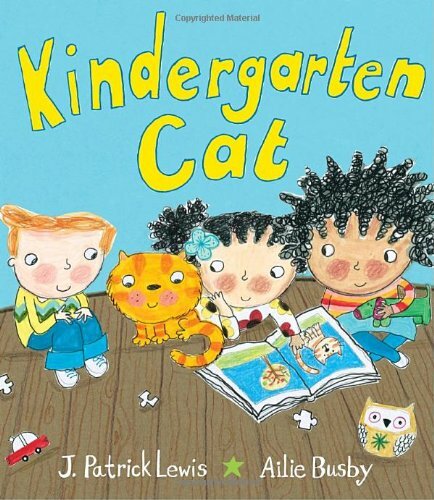 The book would be a fine choice for preschool or elementary storytimes, classroom or individual reading. Oh, by the way, this was a nominee for last year’s Cybils, but it was too perfect a choice not to include it today. Consider giving one or both of these books along with a donation to Global Movement for Children or look for more Ways to Give a Picture Book or over a hundred other Ways to Give a Book this holiday season. How are you today X? Let’s give a yell for Y. The fifth one said, How do you do? 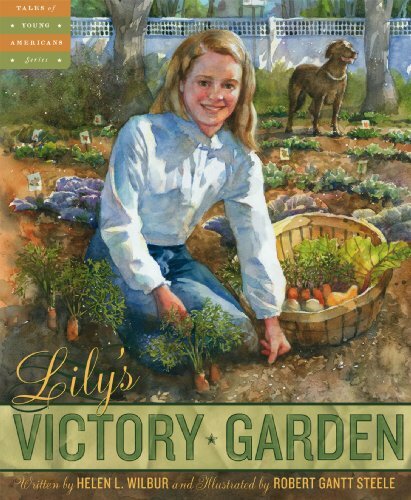 During World War II, the government encourages citizens to plant Victory Gardens to ease the strain on food resources, and Lily really wants to participate. She is too young to get a plot in the town square, but bravely asks a neighbor if she can use part of their garden. That family has lost a son in the war, and has not tended their own garden of late, but reluctantly lets Lily work there. As she gets better at gardening, she also brings a bit of joy back to the grieving mother. Life comes again. The soft watercolors reflect the quiet tone of the book. 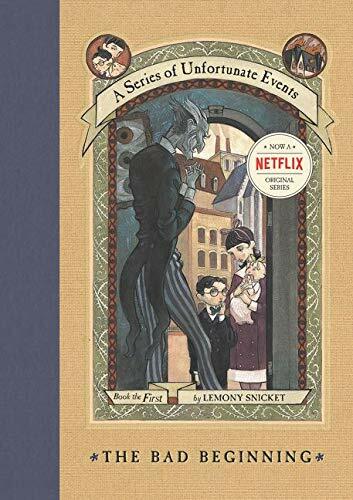 It’s not an ideal choice for storytime, but would work nicely in a classroom setting and as a picture book for older children. Give this book with seeds and gardening tools or look for more Ways to Give a Picture Book or over a hundred other Ways to Give a Book this holiday season. In poetic text, a boy conveys his thanks to the things that make his day — make every day — special. 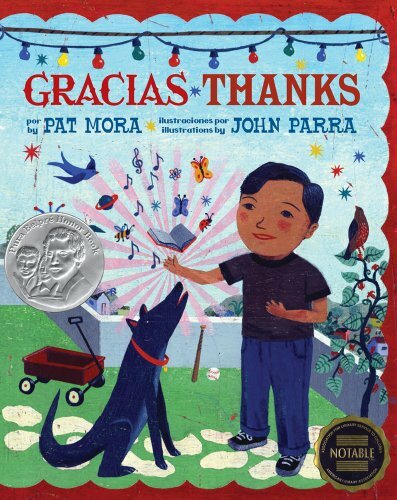 There is gratitude for both family — like the mother who finds his homework in the trash — and nature: “For the ladybug that landed on my finger, a little red flying surprise, thanks.” While the bilingual book demonstrates thankfulness for the big things, the message is conveyed in the smaller ways these things are seen in daily life. The childlike viewpoint keeps away the clichés that could easily appear in a such a book, and the bright, engaging illustrations spotlight beauty in the ordinary. 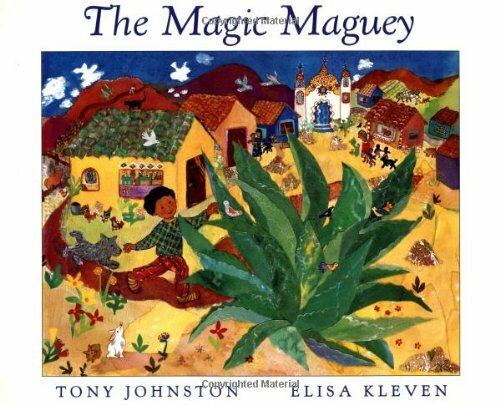 The artwork joyfully portrays Hispanic culture without establishing a specific setting and features a diverse group of family and friends. An absolutely perfect book to share in the classroom, library, preschool, or home. Give this book with a journal to record all the things the child is thankful for or look for more Ways to Give a Picture Book or over a hundred other Ways to Give a Book this holiday season. A mother’s love follows her son through the seasons, all beautifully described and illustrated. “I love you when winter blows/when wind chills our faces, fingers, toes/when snowflakes glitter the quiet night/and morning greets us all in white...” The two are together sharing activities — raking, sledding, gardening, swimming — and enjoying the season joys. 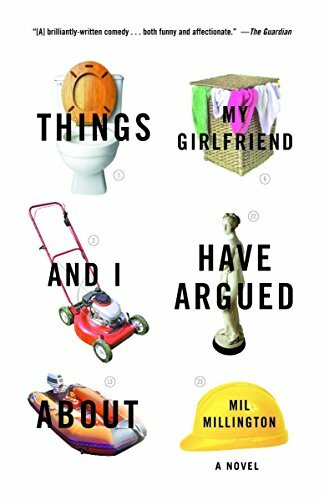 While this is a Mommy Love book, it’s not cloying, as most of the text focuses on the special and uniques aspects of each season. The artwork is delicate, detailed, and just so pretty. 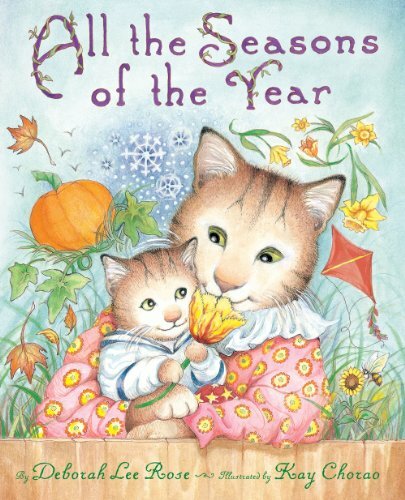 The title would work well for a preschool storytime on the seasons, but it is meant to be shared with the special child in your life. Please do so. Give this book with a handmade coupon book for various seasonal activities — sled ride and cocoa date, for example — or look for more Ways to Give a Picture Book or over a hundred other Ways to Give a Book this holiday season. Rocket is minding his own business, taking a nap under a tree when a yellow bird tries to teach him. Rocket is having none of that, and moves his napping place. But he can’t help but hear as the little bird reads a story and then stops just before the good part! 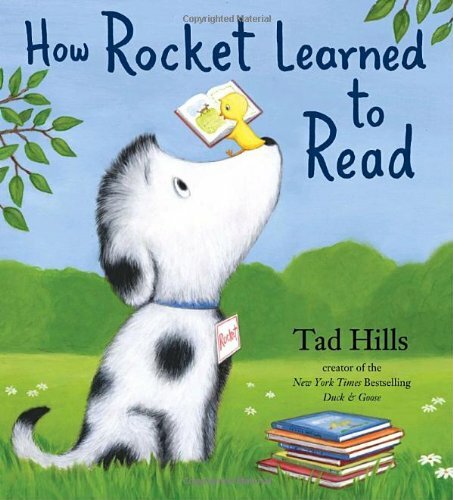 Well, Rocket can’t wait to find out what happened in the book, and then eases into the world of the written word. 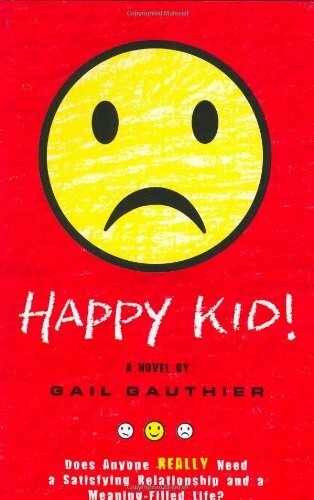 This could be just another “Reading is Great!” titles, but the author saves it from becoming preachy with gentle humor and endearing illustrations. The book also subtly shares that learning to read is work. Fun work, maybe. Rewarding work, definitely. But that it isn’t a skill picked up overnight. 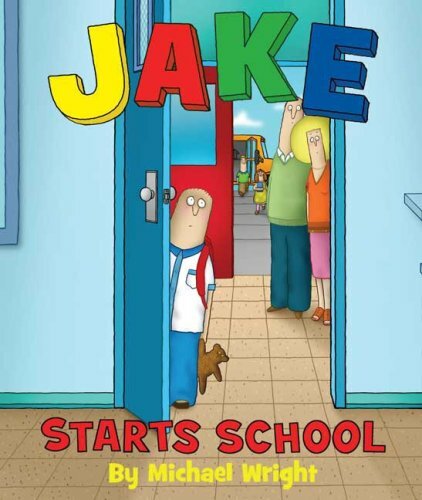 This helpful message makes this book a natural for preschool or school storytimes, and will be just a valuable one-on-one with your own beginning reader. 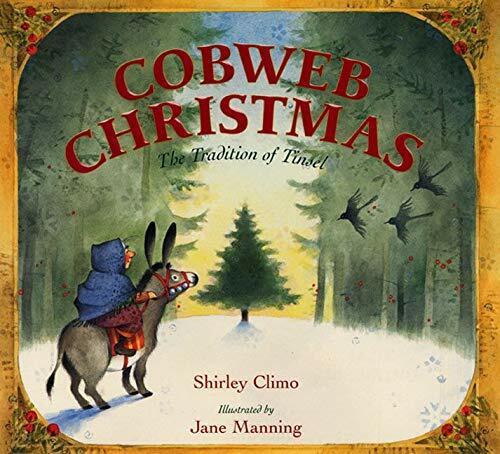 Give this book with some beginning reader titles or look for more Ways to Give a Picture Book or over a hundred other Ways to Give a Book this holiday season. A little girls has an obsession with the queen. Not about her jewels or throne or castle, but about her purse. What could she be carrying in her handbag? What could a queen possibly need? When fate tosses her a chance to find out, she is very surprised and in keeping the secret makes a new — and royal — friend. A cute story from Canada where they are still connected with that whole queen thing. The rhyming text was uneven in quality, with the best bits describing the possibilities of what the bag might contain, “A pink velvet cape in case of a chill? 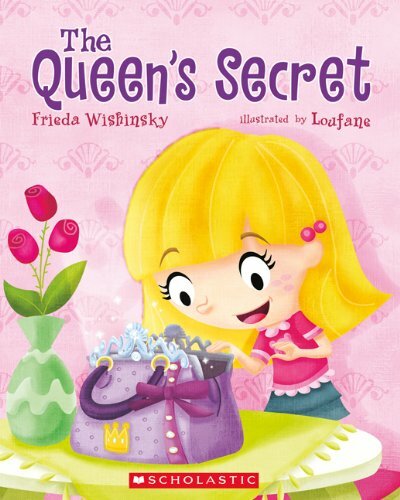 A stout walking stick in case of a hill?” The illustrations are bright and friendly, and the book would be fun to share with preschoolers who will enjoy the image of a modern-day queen — and being part of the secret. Gift this book with a purse craft kit or look for more Ways to Give a Picture Book or over a hundred other Ways to Give a Book this holiday season. Down to the water they did go. Wibble, wobble, wibble, wobble to and fro. Wibble, wobble, wibble, wobble, ho-hum-hum. 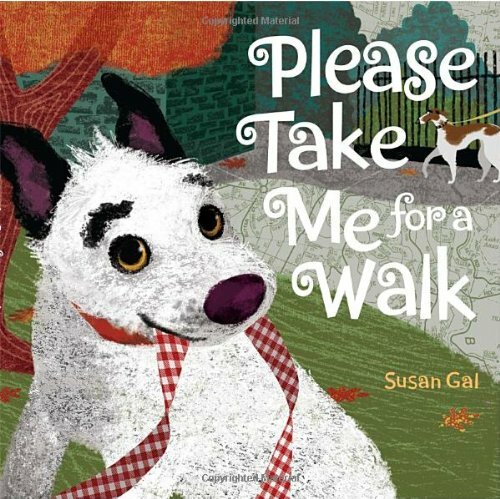 A precocious puppy pleads for a promenade — perhaps in the park — with a pleasant presentation of the plentiful possibilities. His pitch is perfect, his proposal is pleasing, and his puppy-face is precious. And it’s impossible to pass over a polite “please.” Wow, I didn’t think I was going to make it through that paragraph. You may have wondered why I went all alliteration on you. Honestly, it has been a long day and I’m a little punchy. I can easily recommend this lovely book. With its slight text, engaging illustrations, and diverse neighborhood setting, it would be great for preschool storytimes or at home. Don’t pass this one by. How about giving this book with a puppy? Ah, kidding. I’m uninspired to find a gift other than one of the stuffed animal variety, so take a look for more Ways to Give a Picture Book or over a hundred other Ways to Give a Book this holiday season. They’re the words that should be heard. ’Cause they’re the magic words. ’Cause it’s a great way to be polite! Book: Time to Pee! 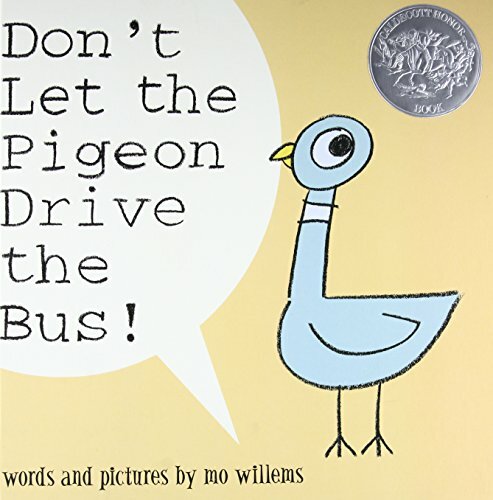 by Mo Willems — or another Pigeon or Elephant & Piggie book if you want to go with the safer choice. TeenReader, your favorite literate teen, strikes again with the “O” review, Oscar and the Very Hungry Dragon. This is the tale of a young boy named Oscar who, against his will and the will of the village, has to go up the mountain and become the annual meal of a very vicious dragon. 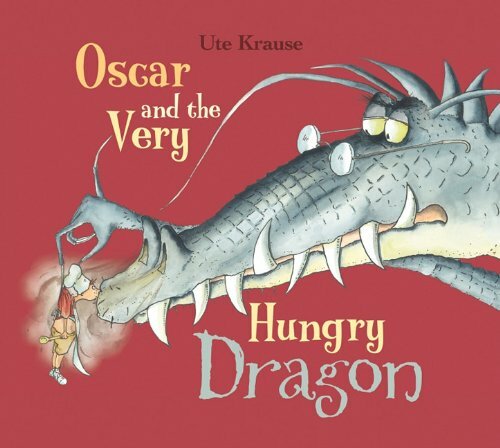 But using the power of good cooking, Oscar makes the dragon seriously consider whether or not human children are really the tastiest thing in the world. When it comes to literature, I love it when a book takes the middle way (sounds like a band name, doesn’t it?). It makes the average Joe (like myself) feel like they have a place in literature. The dragon, although he starts this way, is neither a godless killing machine nor a soft mushball. (Let’s face it — the he’s-tough-but-really-kind-and-sweet routine has gotten old.) 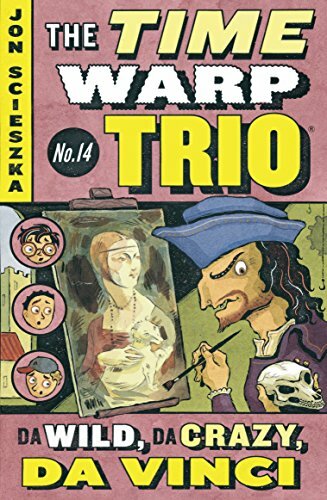 This book is fun to read and a very neat mix of modern and medieval culture. For the culinary genies in your gift-receiver, a cooking set would be a lot of fun, or a cuddly dragon for the sweetie pies, or look for more Ways to Give a Picture Book or over a hundred other Ways to Give a Book this holiday season. Open, shut them, open, shut them. Lay them in your lap, lap, lap. The first little owl has big, round eyes. And her wing hardly make a single sound. 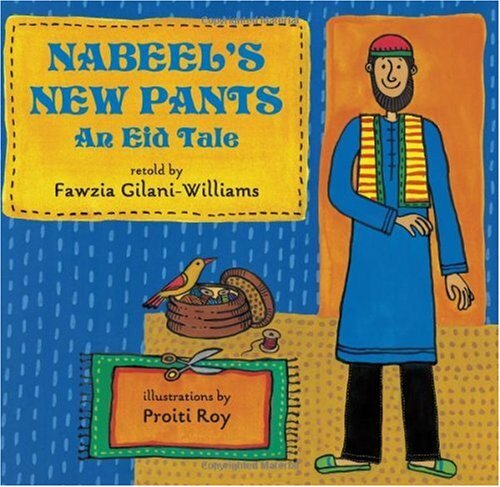 TeenReader here, filling in for MotherReader to review the “N” book, Nabeel’s New Pants. It is the story of a man named Nabeel going to buy his family and himself some new clothes for Eid. He buys himselfs a lovely pair of pants — the only drawback being that they are four fingers too long. He is sure that he can find someone to shorten them in time for Eid, but that proves harder that he thought. 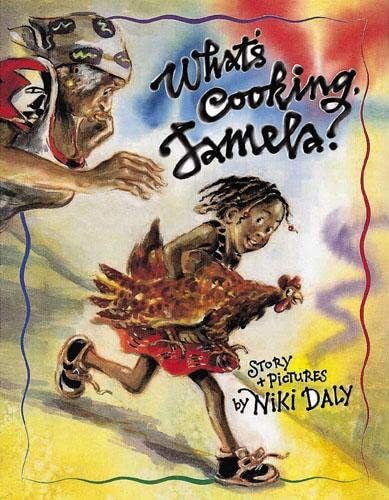 This book, aside from being a delightful embarkation into another culture, wouild be enjoyable to read at story time. Nabeel, after buying too-long pants, proceeds to ask his mother to shorten them. 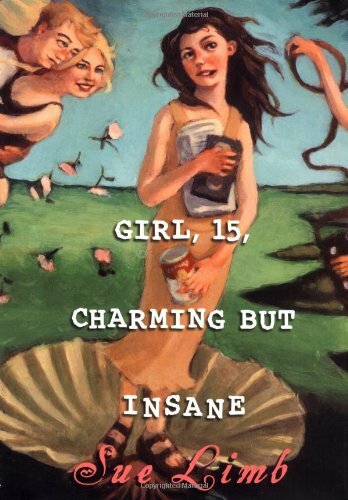 When she cannot, I was afraid it was going to become one of those books where the author fills page after page with the same dialogue and substituted names (a feat only achieved successfully in The Grouchy Ladybug). But it managed to pull away well before annoyance ensued and embark on the rest of what so many books lack nowadays: the plot. This is a great book to read just for fun or to learn a bit about another culture. It would go perfectly with a sewing kit or a pretty set of bangles, or look for more Ways to Give a Picture Book or over a hundred other Ways to Give a Book this holiday season. Little birdie in your nest. Little birdie it’s time to rest. When the sun comes out to play. Little birdie — fly away! In long-ago Japan, a cat came to the home of a poor monk. Though he had very little food to spare, he couldn’t resist the sweet cat and they shared a home. One night the cat was stuck outside in a storm as a samurai was riding seeking refuge. He saw her shape against the shrine, and with her paw raised it seemed that she was beckoning to him. He stayed that night with the gentle monk, and in gratitude bestowed riches on him and his poor village. 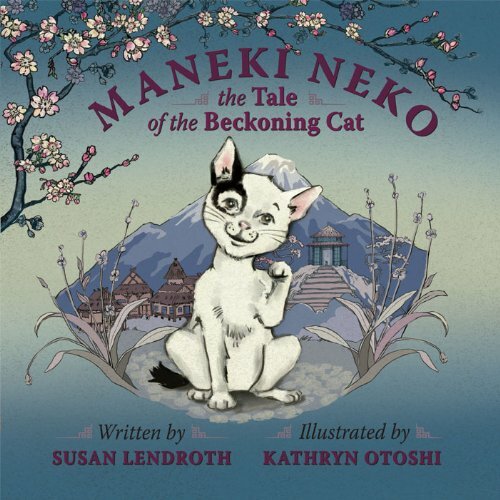 This story of Maneki Neko, the beckoning cat, is apparently well-known as evidenced by the many, many tributes to the cat in statues made in Japan. It just so happens that I’d never heard it, and as such my mind is now blown because all I can see is instances of this beckoning cat image that I never realized were like, a thing. 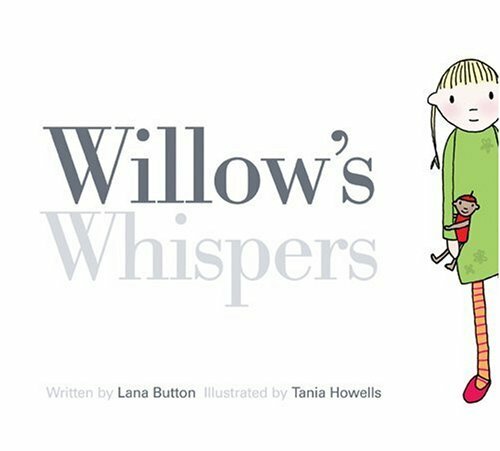 This particular picture book lays out the story very nicely, with expression and dramatic tension — and even a lesson in graciousness and gratitude. The illustrations are also lovely, with soft colors and gentle landscapes. The story would translate well not only to preschoolers but to early elementary kids as well, either in a storytime or one-on-one. Wonderful book. It was when I started looking for a gift pairing for this title that I realized the prevalence of the legend. Try searching “beckoning cat” if you doubt me. Consider giving this book with an adorable bank or look for more Ways to Give a Picture Book or over a hundred other Ways to Give a Book this holiday season. Eyes and ears and tail and paws. 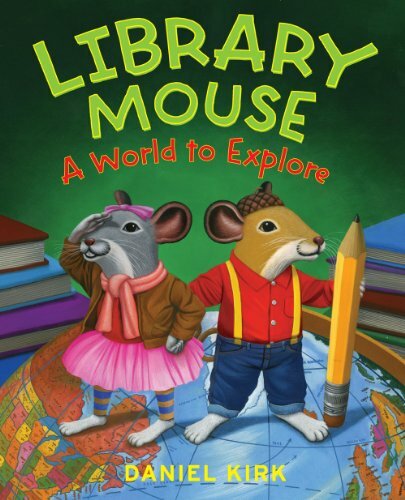 Hey, Library Mouse has a friend! And she’s a cutie. As he’s looking over the bookshelves, she’s parachuting from the high shelves. She knows about adventure, he knows about research, and together they bring out the best in each other. Incorporated into the story are messages about the value of research and books, certainly, but also about the value of getting outside the comfort zone and exploring the world around us. This may be one of the first picture books I’ve read where I’m primed for the sequel with the line, “‘We didn’t have to leave the library,’ Sarah said with a twinkle in her eye, ‘but just think of the books you could write if you really got to see the world! What do you say we take a little research trip?’” Whoa, slow down, honey. You just met the boy. 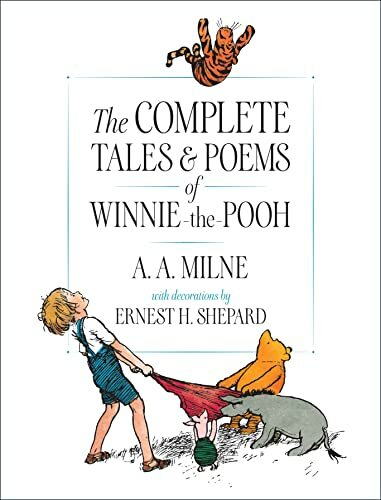 Kidding — it’s a cute book illustrated with the great Kirk style. I don’t have a way to give this book with a present, though I do think that it would make a good gift to your school or preschool library. Look for more Ways to Give a Picture Book or over a hundred other Ways to Give a Book this holiday season.